It was in 2017 at Baselworld when Jean-Claude Biver mysteriously talked about an upcoming technical milestone. 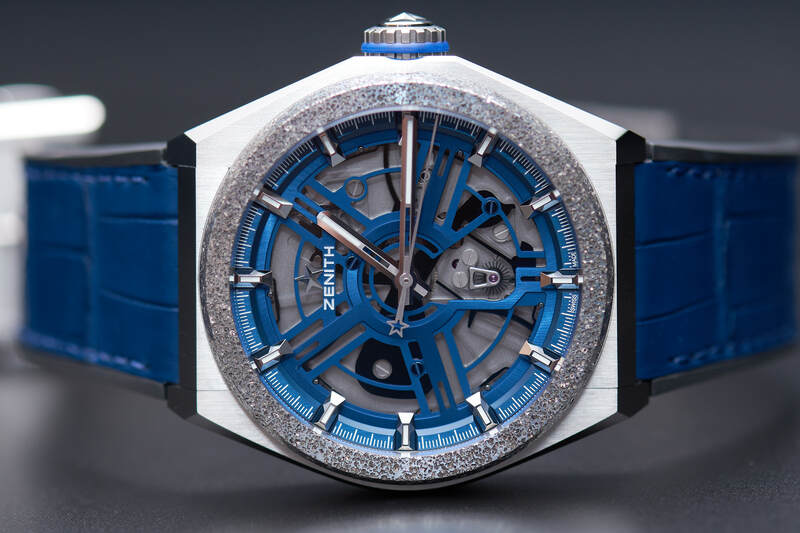 Building upon the favourable properties of the silicon, Zenith’s R&D department designed an oscillator operating on the phenomenon of elastic body deformation. We saw the non-commercial Defy Lab model (10 prototypes only) in Lucerne and wrote about it here. The regulator debuts now in series production in the Defy Inventor which shares most of the attributes of the prototype but shows a few important differences too. The main change in the movement is in fact related to the oscillator. The 15Hz beat of the Defy Lab has been increased to 18Hz. This improves accuracy but it also consumes more energy, which reduced the power reserve from ca. 60 hours to 50 hours. 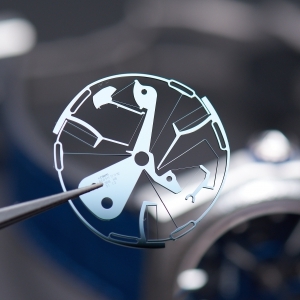 By replacing about 30 parts in a typical regulator with a single flexible structure, the watch noticeably runs smoother. In regards to the exterior, the colours are somewhat different and so is the case. 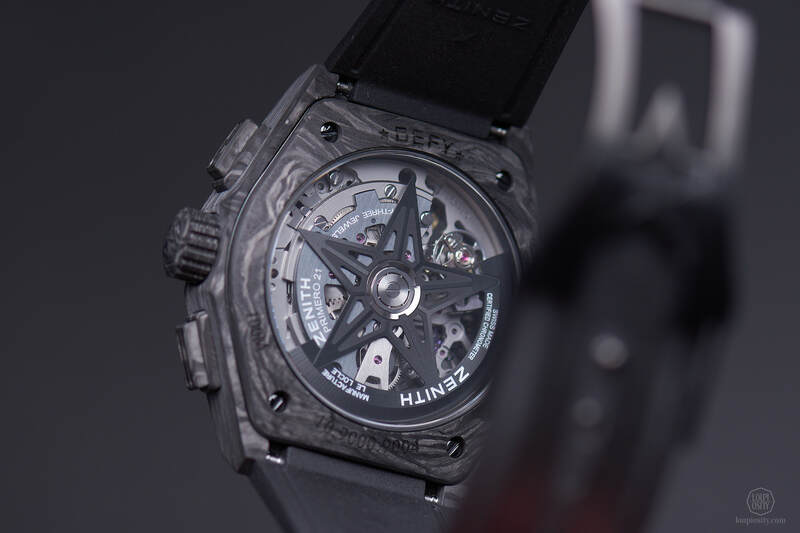 In the Defy Lab the entire case was made of Hublot’s invention, Aeronith (both companies are in LVMH’s portfolio) that is almost 3 times lighter than titanium. 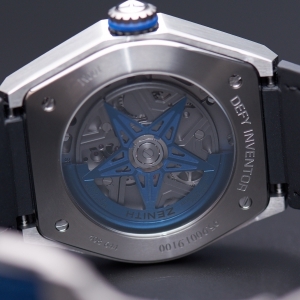 In the new Defy Inventor, the bezel boasts the remarkable aluminium foam – polymer combo, while the rest is titanium. I really like the contrasting difference between these two surfaces and the deep blue metal in the front, which also greets back on the star-shaped rotor. 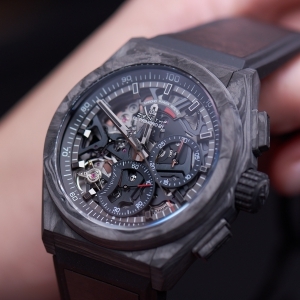 LVMH positions Zenith somewhere between Hublot (avg. 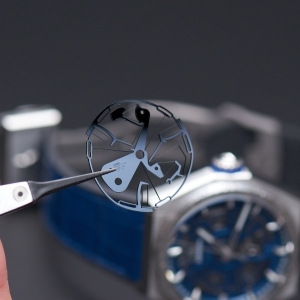 CHF 20k) and TAG Heuer (avg. CHF 3k). 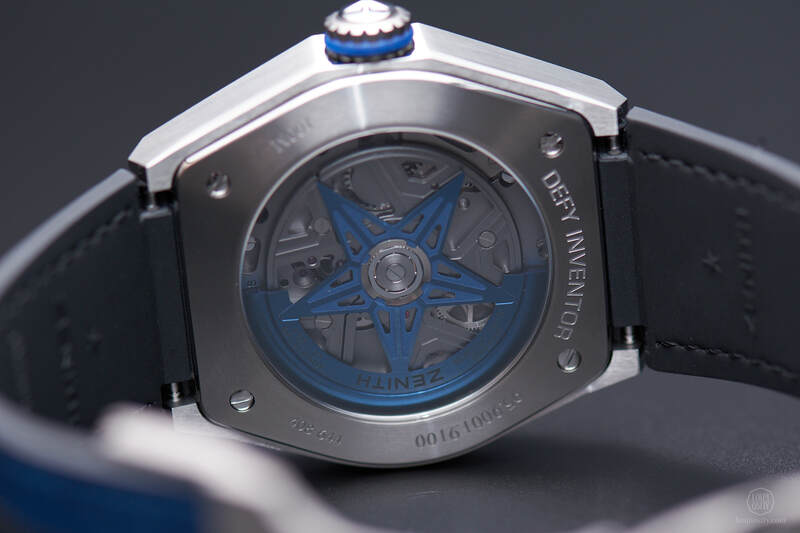 In 2017 the 10 prototypes were sold to collectors for CHF 29,900 and the Defy Inventor is offered at 17,900, which is rather attractive for the package you get. 2017 was also important for Zenith due to the introduction of the high-accuracy chronograph movement: the El Primero 9004. 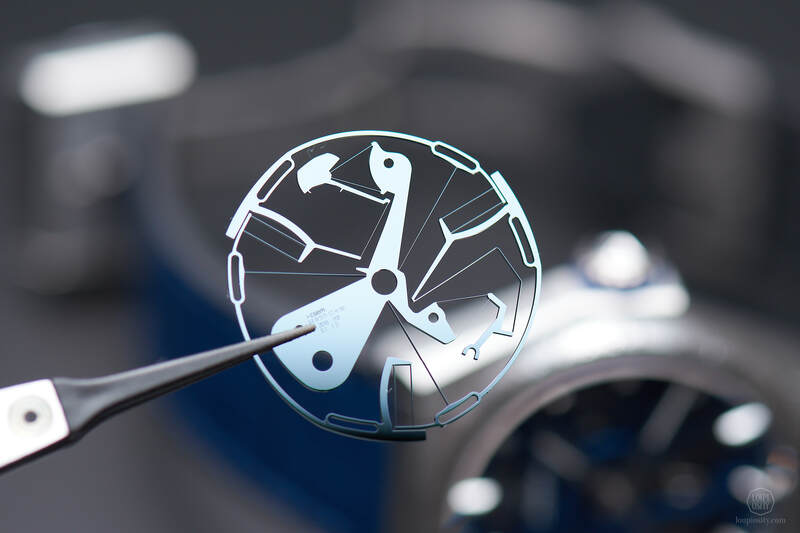 It came in the Zenith Defy El Primero 21 with two regular Swiss lever oscillators, one at 5Hz for the time and a separate unit at 50Hz for the chronograph. The latter can measure elapsed time for 50 minutes fully wound. 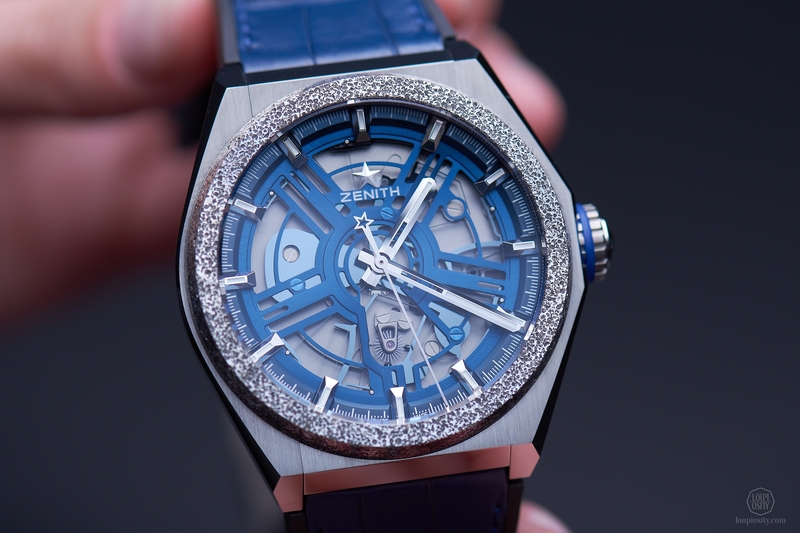 The watch stood out not just by its performance, but also its price, which came down to around CHF 10,000. 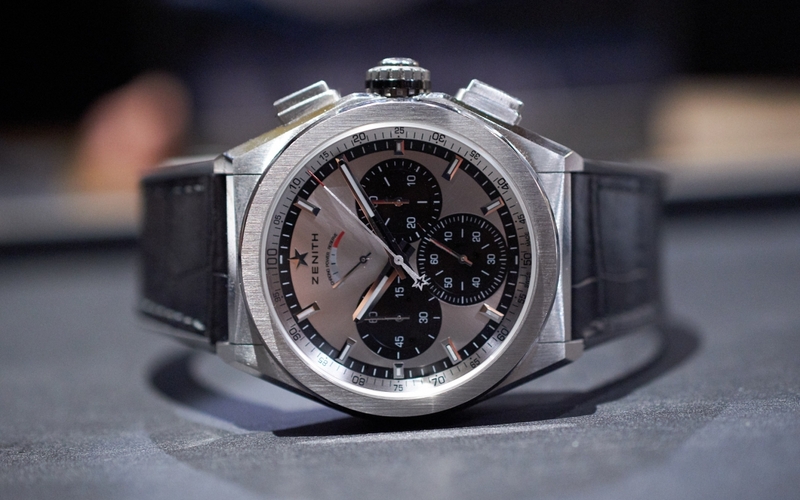 In 2019 the El Primero chronograph celebrates its 50th birthday and besides the three A386 anniversary pieces the company presented a carbon model too. 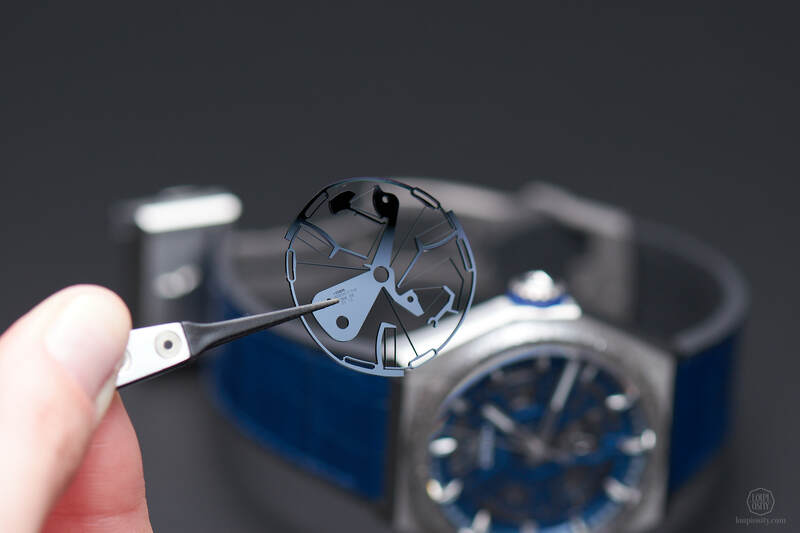 The case with its irregular pattern adds to the already technical look of the 9004 calibre visible through the open-worked dial. The 5Hz balance wheel can be observed at 7:30 in the front, while the 50Hz oscillator that makes measuring elapsed time with 1/100th seconds accuracy possible is at the back. 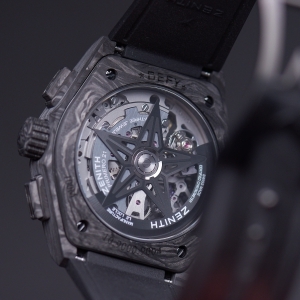 The black pattern is echoed by the signature star rotor too. 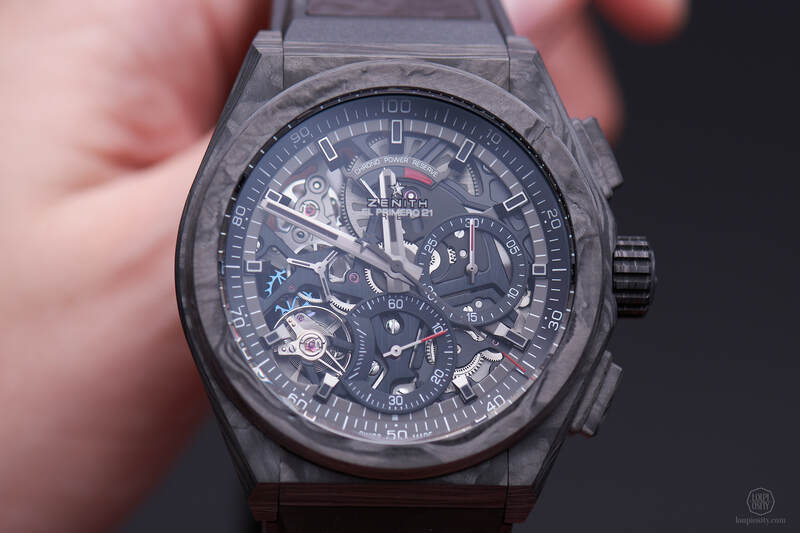 Zenith Defy novelties at Les Ambassadeurs The Lucerne boutique of Les Ambassadeurs organised an exclusive customer event for Zenith timepieces. 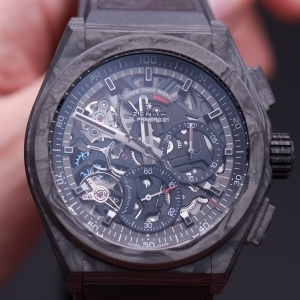 We saw the first birds called Zenith Defy Lab as well as this year’s other newcomer the El Primero Defy 21. 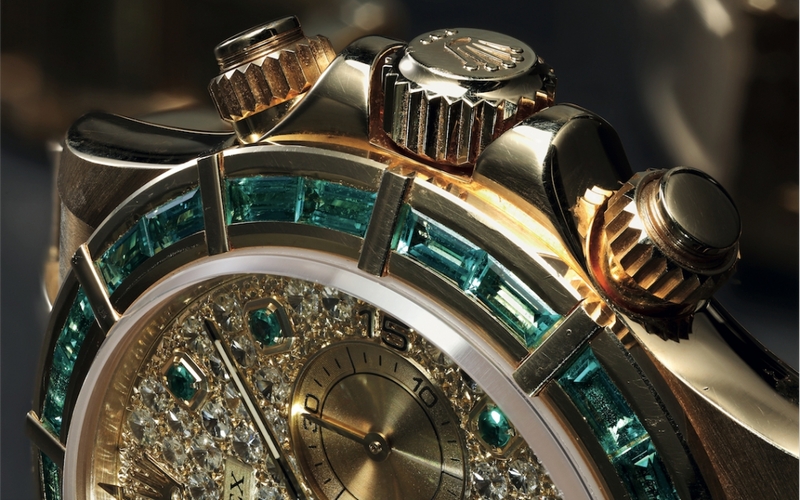 Girls don’t just wanna have fun – Part 15,… In this series we showcase mechanical and artistic wonders that were especially designed for women and others originally for men that come alive on spirited ladies’ wrists. 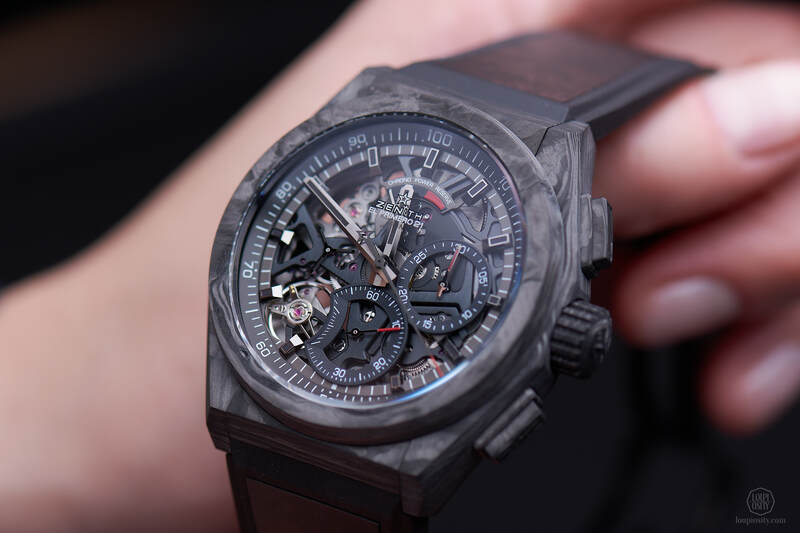 Baselworld always brings new options for women, we collected some from the latest exhibition that might interest you too.